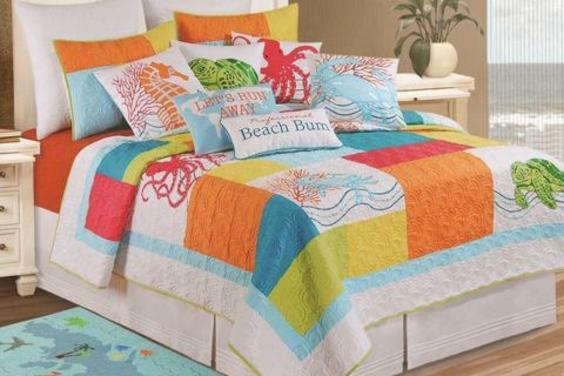 FLORIDA LINEN in Panama City Beach, Florida is the only family owned and operated linen store along the Emerald Coast, providing high-quality bed, bath, kitchen and dining linens and more! When we opened our doors in 1986, FLORIDA LINEN was one of over 200 "mom and pop" linen stores in the state. With the advent of big box retailers, we are now only one of two family owned and operated linen stores that remain in the state! We've been here for 31 years, and intend to be here for at least another 131 more! Our 10,000 square foot showroom is open daily and has a variety of items to decorate your bedroom, bathroom, kitchen, dining area or your entire house or rental property! 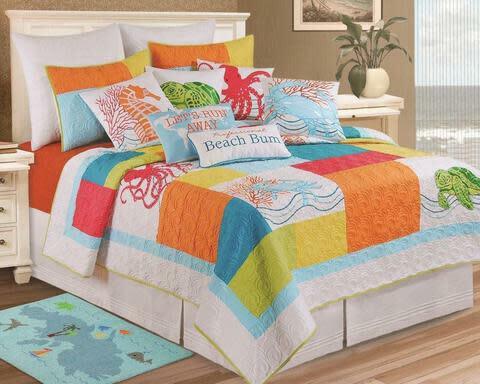 Come explore our huge selection of bedspreads, comforters, quilts, duvet covers, shams, dust ruffles, blankets/throws, decorative pillows and window coverings for your bedroom! Find the towels, bath rug, curtains, rods, accessories or ensemble for your or your child's bathroom that you've always been sought. Decorate your kitchen or dining room with place mats, napkins, napkin rings, coasters, decorative dinnerware or accessories from our expansive stock of kitchen and dining room items. If you would like your name or initials on your towels, bedding, etc., we have in-house embroidering services available, and can have it completed within 72 hours. Have you ever considered having your child's room painted to look like they were in the midst of a fairy tale, or in an ocean, or maybe the jungle? Or perhaps you would like marble columns flanking your dining room? Let our expert painter custom paint any room in your house. We also offer traditional wall covering services, as well.